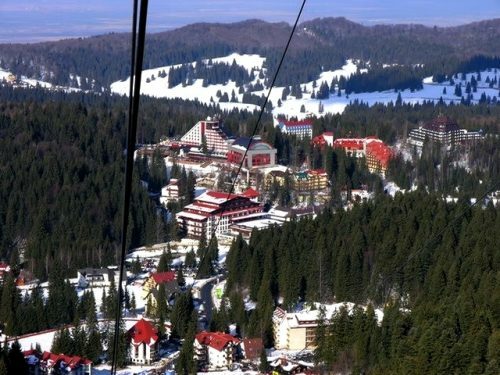 Romania invests more and more money each year in the development of winter tourism and competes with a part of the Alpine countries. In its ski resorts, there are more and more tourists from Western Europe. The ski resorts are located in the Carpathian Mountains, called the Transylvania Alps, at an altitude of 1000 to 2500 meters. The best ski resorts are located in the central part of Romania, near the city of Brasov, and the smallest in the north, in the province of Bucovina, and in the south-west, between Timisoara and Resita. Large ski resorts have cannons for artificial snow, but the less well known resorts depend solely on snowfall. Package prices are almost uniform and range from 7.5 to 12 Euros per day for adults, while children under 12 pay from 5.5 to 9 Euros. Weekly packages cost between 30 and 65 Euros for adults and between 20 and 50 Euros for children. Poiana Brasov is the most famous winter resort in Romania, 170 km north-west from Bucharest and 15 km from the city of Brasov (350,000 inhabitants). It is located at the foot of the Postavaru massif in the southern Carpathians, at an altitude of 1050 meters and with its ski slopes at an altitude of 1800 meters. With many hotels and slopes for alpine skiing, Poiana Brasov offers maximum satisfaction to visitors. 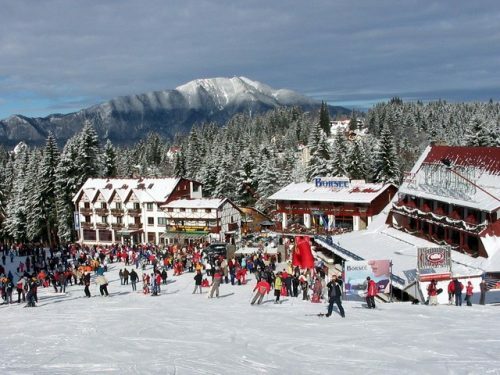 You will also find other ski resorts such as Sinaia, Predeal, Azuga and Busteni in the vicinity of the city of Brasov. 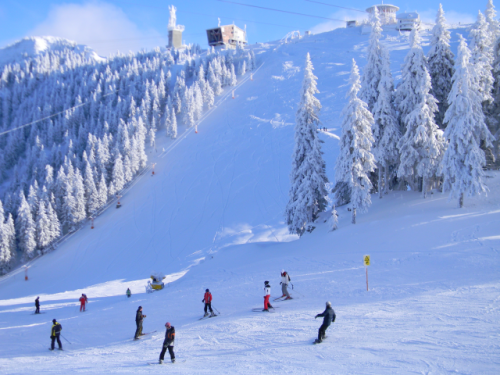 Predeal is a ski resort located between Brasov and Sinaia, about 25km from these two cities. It is also located on the slopes of Clabucet Mountain. The city is at the highest altitude (1033 meters) in Romania. The resort offers over 5200 beds in hotels, villas, chalets and camping. It is located in a specific climatic zone with cool summers (average temperature in July is 15 degrees) and cold winters (average temperature in January is less than -5 degrees). The annual average temperature is 5 degrees and the annual average precipitation is 1000 mm. The snow cover is 100 days per year. The ski slopes are located at an altitude ranging from 1100 to 1445 meters. 5km of slopes and 5 lifts are available. You’ll also be able to ski during the night. 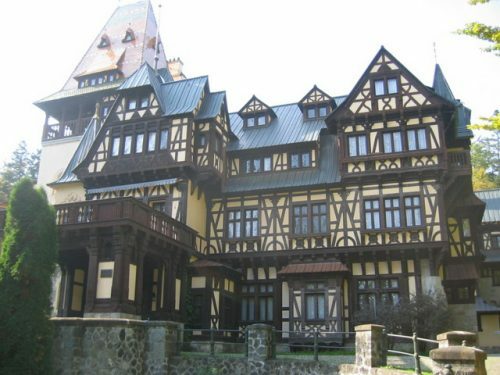 Sinaia is located 125 km northwest from Bucharest and about 50 km from Brasov. It is a small town with about 10,000 inhabitants located at an altitude ranging from 800 to 1000 meters. Sinaia is located at the top of the valley where the river Prahova flows, near the Dor and Bucegi mountains. Railways connect the city to Predeal, Brasov and Bucharest. Some trails are also reserved for bobsleigh: they are 1,500 m long with 13 turns and 132 meters of uneven. With its 10 hotels, Sinaia is a major destination of the Carpathian Mountains. Do not hesitate to visit the “Paleš” castle which was formerly a summer residence for the royal family. From the city center, a large gondola lift will allow you to reach the ski slopes up to an altitude of 2000 meters. Skiing in Turkey is possible ? Posted on December 14, 2016 by Allo-Balkans. This entry was posted in Romania and tagged ski, tourism. Bookmark the permalink.